MyoHealth Berry Crush 20% Savings. While many of us take for granted our body's ability to move easily, for others, it can be a struggle. As we age, we can lose bone mass and the elasticity we had in our younger years – and that can bring limitation. Get the protection and strength you need to keep up with the life you live in motion. Clinically-proven to build lean muscle mass faster at any age. The only US patented product to provide all 9 Essential Amino Acids (EAAs) your body cannot produce. Easy to pack, easy to prepare, dissolvable powder. This premium gluten-free supplement is essential to support a healthy lifestyle and everyday muscle function. Amino acids are the cellular building blocks of protein in your body. There are 20 primary amino acids in your body’s proteins, 9 of which are essential to your diet because your cells cannot manufacture them. These amino acids (histidine, isoleucine, leucine, lysine, methionine, phenylalanine, threonine, valine, and tryptophan) are known as Essential Amino Acids. 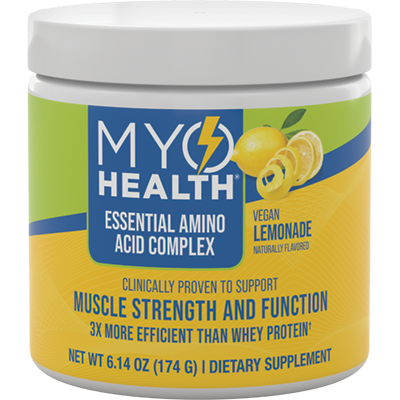 MyoHealth Essential Amino Acid Complex line is the only US patented product to give you all 9 Essential Amino Acids (EAAs) clinically proven to support muscle strength and function. Developed over 20 years based on findings from NASA, National Institutes of Health (NIH) and 24 clinical trials led by renowned amino acid, nutrition and muscle metabolism expert Dr. Robert Wolfe, MyoHealth is the first and only EAA complex to receive a US patent for its unique, highly-effective formulation. What can MyoHealth do for you? To get clinically-proven results, we recommend a daily dosage of 3.6 grams EAAs. Each scoop of our fast-acting powder contains 3.6 grams of EAAs. Mix one (1) scoop of MyoHealth powder with 8 oz. or more of water or your favorite beverage. MyoHealth powder tastes best chilled or with ice. For faster results, we recommend doubling your daily dosage for a total of 7.2 grams of EAAs per day for the first 30 days. This can be achieved through 2 scoops of powder daily for the first 30 days. When taking two servings, drink one in the morning and another in the evening. You don’t have to drink your MyoHealth all at once. After mixing your drink, you can sip on it throughout the day. 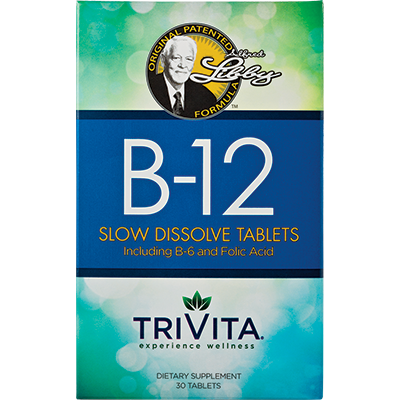 Doubling your dosage for faster results in the first 30 days will equal 7.2 grams of EAAs per day. Drink MyoHealth 30 minutes before or after exercise to enhance absorption. Q: What are amino acids? Amino acids play a role, either directly or indirectly, in nearly every physiological function. Each amino acid serves multiple purposes and works in concert with other amino acids. There are 20 dietary amino acids relevant to human biology. Eleven are non-essential (NEAAs), meaning that the body can synthesize them. Nine are essential (EAAs), meaning they must be obtained from the diet. The nine essential amino acids are: histidine, isoleucine, leucine, lysine, methionine, phenylalanine, threonine, valine, and tryptophan. Q: What is the relationship between amino acids and protein? Amino acids are the cellular building blocks of protein. When amino acids are connected together by peptide bonds, amino acids form a polypeptide, which is another word for protein. Muscle is the main reservoir of amino acids in the body and requires protein to grow in mass. Q: What’s the difference between Essential Amino Acids and Branch Chain Amino Acids? Branched Chain Amino Acids (BCAAs) are a group of three Essential Amino Acids (EAAs): leucine, isoleucine and valine. So all BCAAs are EAAs, but not all EAAs are BCAAs. Leucine, isoleucine and valine are called "branched chain" because they’re the only amino acids to have a chain that branches to the side. While BCAAs are vital for energy production and muscle metabolism, BCAAs alone do not stimulate muscle protein synthesis. In fact, the few studies measuring the response to BCAAs have shown a decreased rate of muscle protein synthesis.1 This makes using only BCAAs somewhat like fielding a baseball team with only three players. Wolfe, Robert R., Essential Amino Acids for Everyone (unpublished, 2016), 63. Q: Why isn’t taking whey, pea and other protein powders enough? The role of protein in food is not to provide our bodies with proteins directly, but to supply the amino acids from which the body can make its own proteins. When we eat foods that supply each essential amino acid in adequate amounts, our body supports protein synthesis. 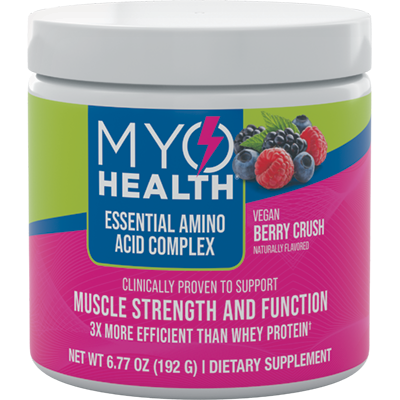 MyoHealth contains all 9 Essential Amino Acids and is clinically-proven to support optimal protein synthesis for the body to convert beyond energy to build lean muscle mass. Q: Can I still take whey protein with MyoHealth? Yes, the amount of whey protein in a third-party supplement varies widely due to different processing methods.2 However, thanks to the presence of all nine EAAs in MyoHealth, your body will be able to absorb more of the whey protein you ingest. Robert Wolfe, Essential Amino Acid Solutions for Everyone (unpublished, 2016), 64. Q: Why is it important for me to build and maintain muscle as I get older? The older you get, the higher the rate of muscle loss you experience. Muscle serves many metabolic functions beyond physical movement. This includes supporting bone health, enabling greater survival in the case of heart failure and cancer, and providing proper brain and nerve function. Q: How much MyoHealth should I take each day? For suggested use for each of our products click here for Usage Tips. Q: How long do I need to take MyoHealth? What can I expect? Commit to at least 6 weeks of usage with a healthy diet and exercise. Supplementing your diet with MyoHealth will give you more energy to do the activities you enjoy. Your metabolic health will improve, including blood pressure and blood lipids. You will gradually improve your body composition, losing fat and gaining muscle mass. And all of this will be reflected in the increased level of strength and vitality you feel. Q: Will MyoHealth help me lose weight? MyoHealth is not designed to be weight loss system or meal replacement. It is, however, the only US patented product clinically proven to help you build muscle strength and health faster at any age. Therefore, when taking the recommended dosage of MyoHealth with a healthy diet, nutrition and exercise program, you may find your lean muscle mass increase, helping you to look and feel fitter. Q: Do I have to exercise for MyoHealth to be effective? Yes, exercise enhances the results of MyoHealth. While the nutritional benefits of MyoHealth alone are tremendous, the synergy between amino acids and physical exercise is even greater, to the point where when combined together, you will start seeing and feeling the positive effects within 30 days. Q: What kind of benefits does MyoHealth offer for serious athletes? MyoHealth provides cardiovascular and metabolic benefits if taken in the first hour after aerobic exercise OR before and during resistance workouts for athletes wanting to gain muscle mass. Consumption of Essential Amino Acids (EAAs) in MyoHealth following aerobic exercise can replace the muscle protein broken down during exercise, while resistance exercise increases muscle mass and strength by increasing muscle protein turnover. In addition, the EAAs will also increase the production and functioning of the mitochondria, which is the site in the cell where energy is produced. Q: What is muscle protein turnover? Eagle H, Piez KA, Fleischman R, Oyama VI. Protein turnover in mammaliar cell cultures. J. Biol. Chem. 234(3), 592–597 (1959). Wolfe, Robert, PhD, Declaration by Dr. Robert Wolfe, PhD, Analysis of the physiological benefit of ingestion of 3 grams of specific formulation of amino acids, 2 (2015). Q: I’m an athlete. How much MyoHealth should I take? Independent studies have shown that athletes experienced incremental benefits when taking up to 15 grams of EAAs per day. We recommend 2-3 servings of MyoHealth per day when engaging in strenuous aerobic, endurance or resistance training. Q: Does MyoHealth have any side effects? The Essential Amino Acids in MyoHealth are all Generally Regarded as Safe (GRAS) by the FDA and have no demonstrated adverse effects. Q: Can I take too much MyoHealth? The Essential Amino Acids in MyoHealth are considered a macronutrient and, therefore, the equivalent of food. We recommend following the suggested usage tips on this site and taking no more than 15 grams of EAAs per day. Studies showed that up to 15 grams of EAAs per day delivers the maximum benefit for active people, while no increase in results were found beyond 15g.